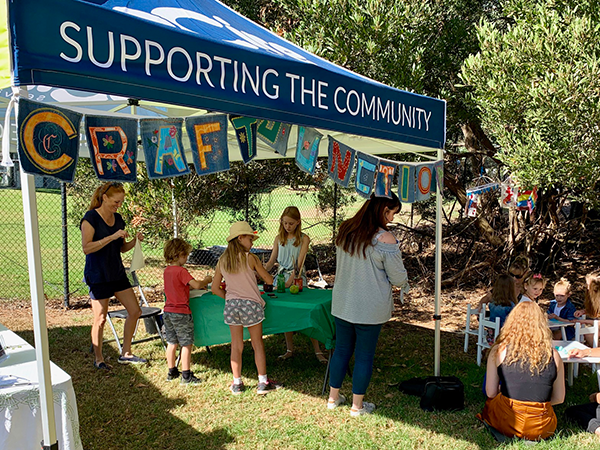 Ecotopia, ECOSS’s annual community festival celebrating sustainable living and multiculturalism, was held on Sunday 24th March. Ecotopia is a celebration of sustainable living in the Yarra Valley and a major yearly event for ECOSS, a not-for-profit organisation based in Wesburn which is situated on a permaculture designed property promoting sustainable living solutions for the Yarra Valley community and beyond. 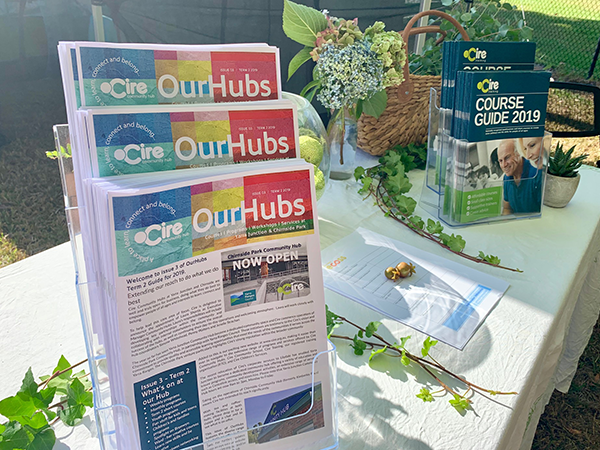 Cire Services, who is a major sponsor of Ecotopia, was invited to participate, giving us the opportunity to advertise our new direction for our dedicated Community Hub – Yarra Junction, after the move of our head office and training department to Lilydale, and showcase the great ways we plan to grow and support our community. 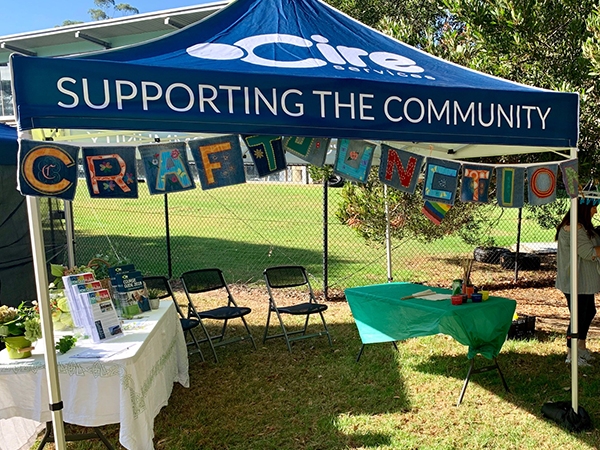 Cire has recently made the decision to utilise its location in Yarra Junction as a Community Hub. 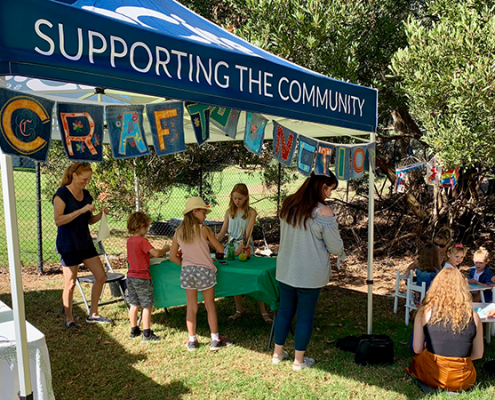 We aim to strengthen the grassroots of our organisation, which started over 40 years ago, by giving locals easy access to our services in Yarra Junction, and help people to get involved and have local input and knowledge. 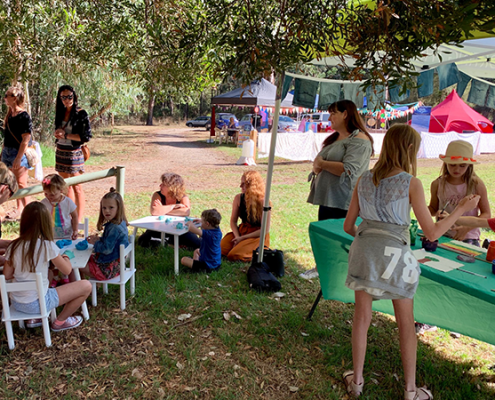 Our Yarra Junction Community Hub coordinators, Simone and Penny, started the day at Ecotopia setting up an approachable space for people to come and see what our Hubs and the broader Cire community have to offer. 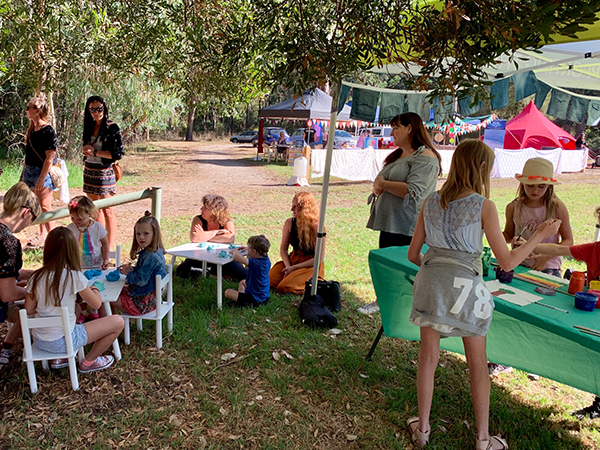 Eliza, Cire’s Early Childhood Education and Care trainer, was keen to help and enlisted the support of some of her Certificate III students to set up an activity to engage families and children through playdough activity tables. Also on offer was a flag making table where visitors could come and paint their own flag in colours, patterns and symbols that resonated with them. 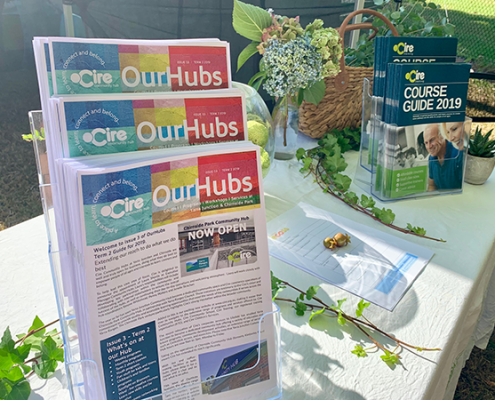 Cire Community Hub was proud to be a part of an event that celebrated sustainable living in the Yarra Valley and look forward to next years. 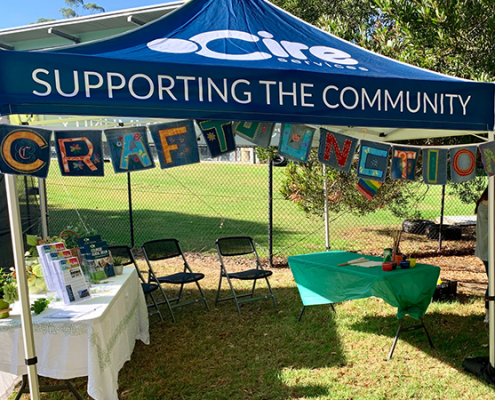 If you didn’t get the chance to say hello to us at Ecotopia and would like to know what is happening, are interested in running a course, or hiring out space, please drop into Cire Community Hub – Yarra Junction and introduce yourself to our coordinators, Penny and Simone or contact 1300 835 235. If you’re lucky, they might even make you a cuppa!